Spending time in nature is one of the best antidotes to Western society’s fast-paced, consumer-driven world. Whether you’re looking to spend a couple of hours or a couple of months soaking up the healing energy of the Earth, hiking is a great way to enjoy the outdoors. Most people are familiar with some of the more iconic vistas of the American West, such as Half Dome, in Yosemite National Park, and the Grand Canyon of Yellowstone, in Yellowstone National Park. But the West is also full of lesser-known treasures with equally spectacular views and far fewer crowds. To say that this compilation is actually “the best” of those treasures would be totally bananas, because I couldn’t possibly choose and I’ve left off some of my favorite places, like Flaming Gorge National Recreation Area. 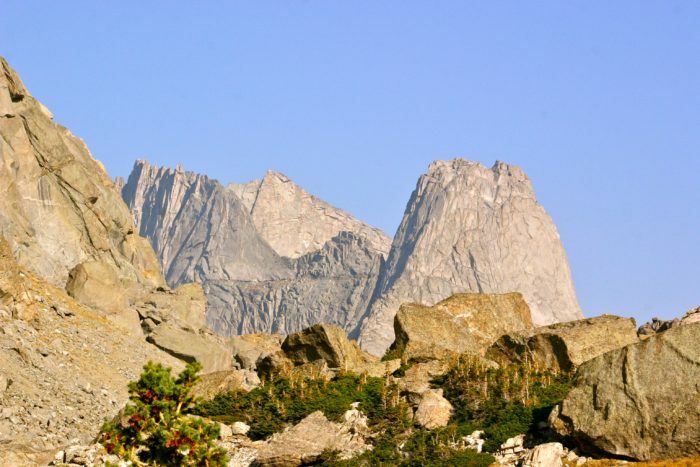 But this is a mighty fine selection of some of the best hikes in Wyoming and Utah, in my humble opinion. I focused primarily on western Wyoming and northern Utah here; stay tuned for updates across these incredible states. Equally beautiful when not frozen. Human for scale. Lake Louise is one of my favorite places on Earth. This 4.5-mile, out-and-back hike is relatively easy, winding through dense conifers and along a sometimes raging West Torrey Creek in Jedediah Smith Wilderness. The trail is well worn and easy to follow leading up to an area of bald rock just before the lake, where abundant cairns take over guiding the way. Enjoy a snack and the peaceful tranquility of the scene, or if you’re feeling more adventurous, scramble along the east bank to get to the back of the lake. Or, even better, take a polar bear dive. (But, as always, please be responsible and know your limits. It’s really, really cold). The hike to Lake Louise begins at the Trail Lake trailhead in Whiskey Basin just outside of Dubois, WY. Dog: Check. River: Check. Snow-capped mountains: Check. It’s like pouring smiles on your brain. The 7.2-mile, out-and-back hike to Bomber Falls via Bomber Basin begins at the same trailhead as Lake Louise, but offers a completely different experience. Also relatively easy, this trail winds through a lovely subalpine meadow and along the much calmer East Torrey Creek. The trail forks at about 2.5 miles. Take the trail to the west (i.e., the right), and continue another 1.1 miles to Bomber Falls. For more experienced hikers or for those looking to make an overnight out of this trip, continue off the beaten path past Bomber Falls to the delightfully secluded Bomber Lake. And for those really looking to extend this trip, head east where the trail forks and take the Glacier Trail deeper into the Winds. Swimming in the lake is not allowed, unfortunately. Lunch right beside it, though? Highly recommended. Lake Blanche is a very popular day hike in the Wasatch for good reason. 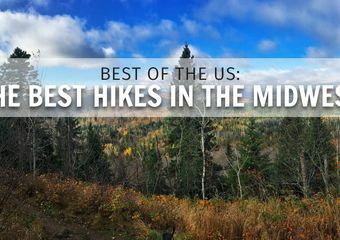 Weaving through beautiful aspen groves and open meadows in the Twin Peaks Wilderness, this 6.7-mile, out-and-back hike is quite steep and, for most, considered rather strenuous. But the payoff is completely worth it. The lake is crystal clear, and the backdrop of Sundial Peak never fails to impress. This can also be made into a fun overnight trip. 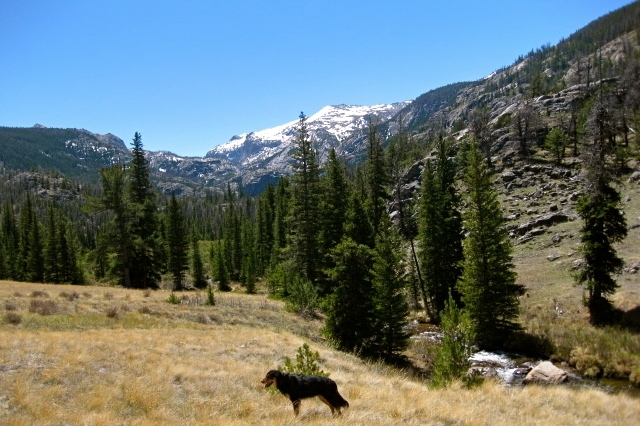 The trail to Lake Blanche is accessible via the Mill B South Fork trailhead in Big Cottonwood Canyon. Popo Agie Falls, WY (3.3 miles) – Natural waterslide. That’s all you need to know. Ruth Lake, UT (2.8 miles) – Also popular for good reason. Beware of mosquitoes in the summer. Looking back at the beautiful Wasatch from the bottom of the final switchbacks up to the lake. I absolutely love the hike to White Pine Lake. Like most trails in the Wasatch, this 9.5-mile, out-and-back trail is a fairly steady incline, but unlike many others the grade is not too steep. 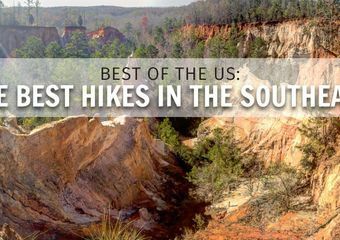 The hike starts out lined with lush greenery as you head to where the trail to White Pine diverges from the one to Red Pine, with a sharp left turn. From there, you gain about 2,500 feet of elevation, strolling through a perfect mixture of dense aspens and white pines, and open, exposed meadow. A final set of switchbacks up a talus field will take you to the lake. 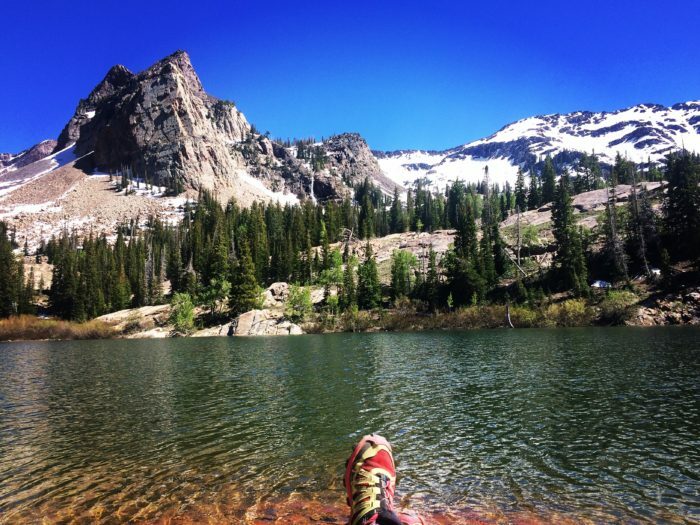 While the lake itself is yet another pristine mountain lake view to drool over, the views of the Wasatch from the talus field and throughout this hike are equally worthwhile and rewarding. The journey truly is the destination on this hike. Approaching the summit, looking west to Ross Lake. I’ll be honest. The hike up Whiskey Mountain is not for the faint of heart. Like the hikes to Lake Louise and Bomber Falls, this 14.6-mile, out-and-back hike begins from the Trail Lake trailhead in Whiskey Basin. The trail begins with a few hot, arid miles of winding up switchbacks, affording some awesome views of Whiskey Basin and the Absaroka Range to the south. As you gain elevation, the trail winds through dense forest and eventually opens up as you move toward the view of Ross Lake to the west (pictured) and, eventually, up to the 11, 157 feet summit. On a clear day at the summit, you can simultaneously see the Wind River Range, the Absaroka Range, and all the way to the Teton Range–a truly stunning and humbling view. Reward yourself for this challenging day with a slice of pie from the Cowboy Cafe in Dubois. Although the Wasatch Crest Trail is quite popular for mountain biking, it is also an incredibly fun hike. Sixteen miles may sound intimidating, but it’s really a pretty easy trail once you’ve gained the initial elevation (because it’s the crest), and it’s definitely doable in a day if you have a shuttle. This is also a fun backpacking trip–either end-to-end, or out-and-back–depending on your resources. 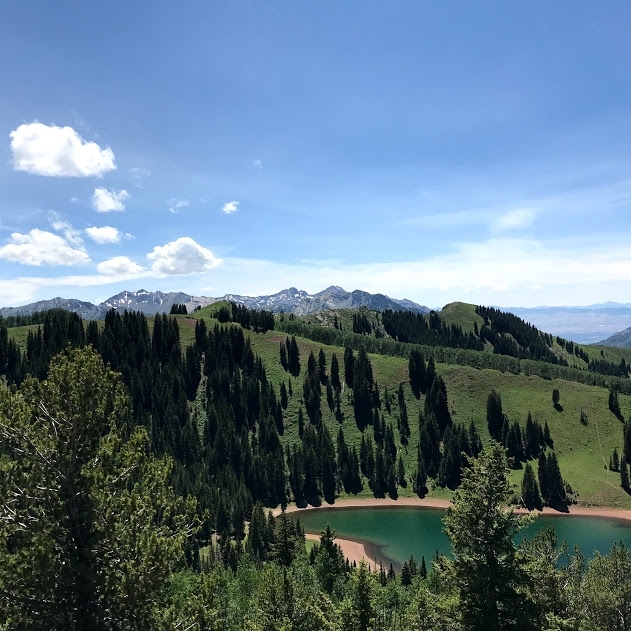 The trail runs along the ridge separating Big Cottonwood Canyon and Park City and then descends into Mill Creek Canyon, affording terrific, nonstop views of the Wasatch, Park City, and the Great Salt Lake. Stop at Desolation Lake for a break, or camp there if you’re turning this into an overnight. Keep an eye out for moose and other wildlife. Pfeifferhorn via Red Pine, UT (Nine miles) – Incredible views. Those afraid of heights may not love the final scramble to the top. Mt. Timpanogos, UT (13.9 or 14.3 miles, depending which route you take) – It’s a Utah classic. Just do it. Coming down from Hurricane Pass, looking at the backside of the Grand Teton. The Teton Crest Trail is one of my favorite backpacking trips. The length of this end-to-end trail is variable, depending on where you start and end, but regardless of how you choose to do this trail the reward is extremely high. 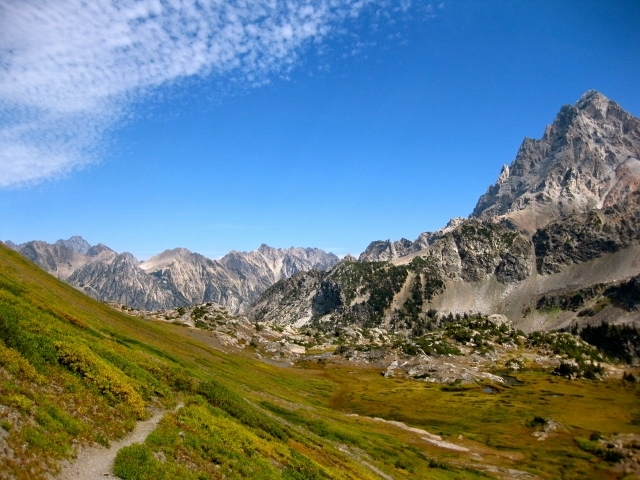 I recommend starting from Teton Pass, but you can also start from the Granite Canyon trailhead just inside the south entrance to Grand Teton National Park, near Teton Village. Most people do this trail over the course of about three days, camping the first night a bit past Marion Lake, the second night in one of the park’s designated South or North Fork Cascade campgrounds, and then coming down Paintbrush Canyon the third and final day. This leaves you plenty of time to relax and explore the many side canyons. If you’re looking for a longer trip, you can head toward Alaska Basin about 2.5 miles before Hurricane Pass and continue across the range, ending at the Glade Creek trailhead. If you do this longer route, be sure to find your way back up Paintbrush and Cascade Canyons at some point–they are tremendous. Hikers need to get a permit and rent a bear canister (if you don’t have your own) from the park’s visitor center before embarking on this magnificent trek. In my opinion, late summer/early autumn is the best time to do this hike, but midsummer is fun too, as are late spring/early summer if you are adequately prepared for snow travel. The road to Big Sandy trailhead. If you hit it just right, the fall color will blow you away. 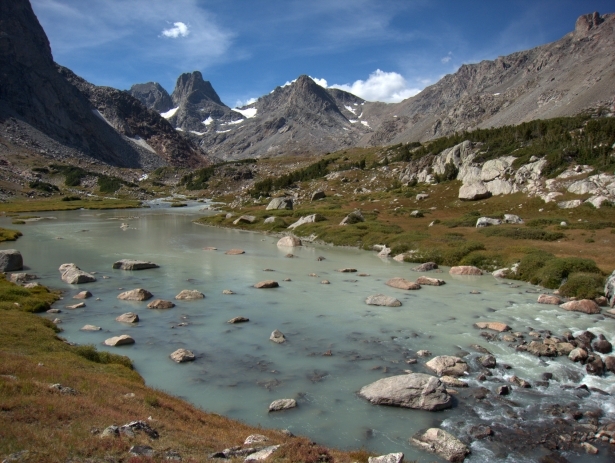 The Cirque of the Towers is a well-known gem of the Wind River Range among avid hikers and climbers. There are a number of ways to approach this incredible place, but the shortest and most direct route is an 18-mile, out-and-back trek beginning at Big Sandy trailhead, between Pinedale and Lander, WY. The trail begins at just over 9,000 feet and steadily gains elevation, weaving through open meadows before winding its way up to just under 11,000 feet at the high point of Jackass Pass. From there, it’s less than a mile down to the majestic Lonesome Lake at the base of the Cirque. Strong hikers could do this in two days, camping at Lonesome Lake, while those wishing to take their time might take three to four, camping the first night at Big Sandy Lake, then Lonesome Lake, then either back to Big Sandy Lake (for four days) or all the way out on day three. 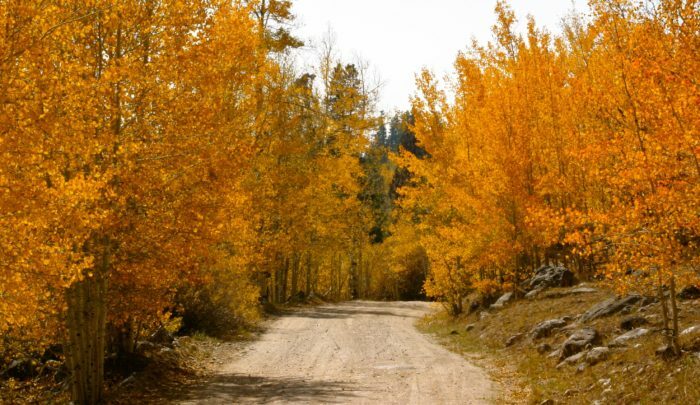 Like the Teton Crest Trail, this trip is best in late summer/early fall and, if you play your cards right, you may just get lucky enough to hit peak aspen season. First good (but sometimes smoky) view of the Cirque coming over Jackass Pass. That’s Pingora on the right, Bollinger in the background, and Wolf’s Head in the foreground. 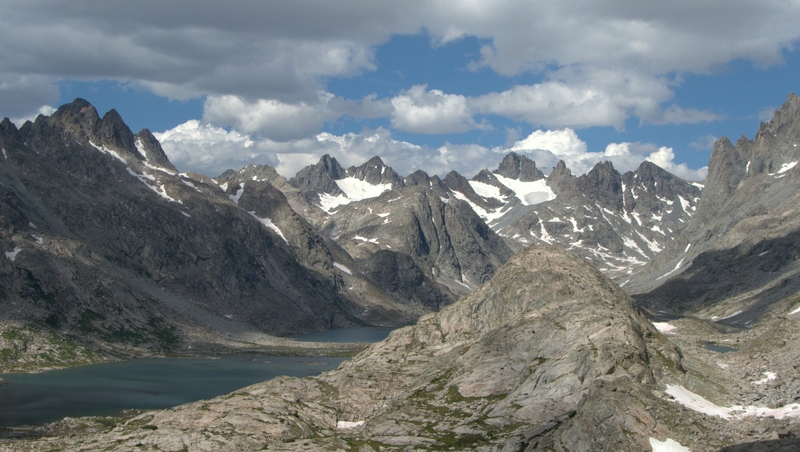 In my opinion, few wilderness areas in the continental United States rival the solitude and splendor of the Wind River Range, and Titcomb Basin is at the very top of my list of favorite spots within this range. There are a number of routes of varying length and difficulty you can take to get here, but the fastest and probably also the easiest is a 30.1-mile, out-and-back hike beginning at the Pole Creek trailhead beside Elkhart Park, just outside of Pinedale, WY. Take the densely forested Pole Creek Trail ~3.5 miles east where it converges with the Seneca Lake Trail near Photographer’s Point (an excellent and popular day hike). 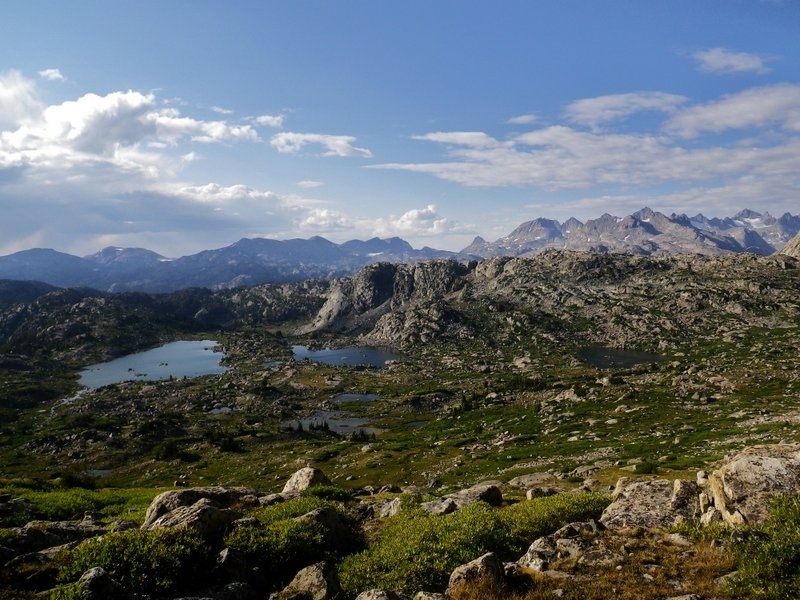 Changing to a more open landscape, the trail will take you past numerous lakes, eventually crossing the Continental Divide Trail (CDT) before joining up with the Titcomb Basin Trail. Continue another 5.2 miles, passing Island Lake and eventually entering Titcomb Basin. If you have the time, spend a whole day camped in the basin and day hike over to Indian Basin. You can do the hike to Titcomb Basin out-and-back, or turn it into a roughly 70-mile loop by heading south on the CDT over Lester Pass, stopping at Cook Lakes and Bald Mountain Basin for a night, then circling back around to the trailhead via the Pole Creek Trail. 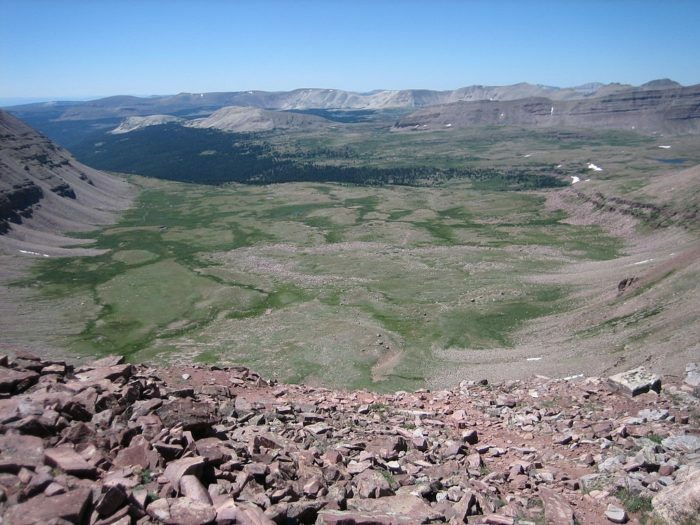 King’s Peak, UT (26.8 miles) – Highest peak in Utah at 13, 527 feet. Not recommended for beginners. Strong hikers can do this trip in two days, but most people choose to take three. Squaretop Mountain, WY (28.9 miles) – Stunning and unique. I can’t say enough good things about the Winds. 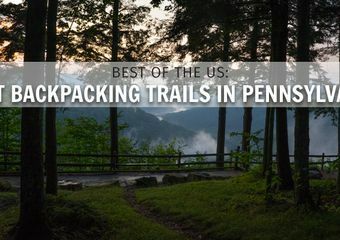 Most people who are dialed into the distance hiker community are familiar with the AT, PCT, CDT, and a handful of other relatively well-known long trails. But not everybody knows about the Uinta Highline Trail. Although it is on the shorter side of long treks at around 100 miles, this route is full of magic and free of the crowds so many of us are often trying to avoid. The trail traverses the entire Uinta Range, through gorgeous glacial basins, aspen groves, and, if you time it right (depends on the previous winter’s snowpack), meadows full of popping wildflowers. An excellent day-by-day breakdown of this trip and additional photos are available here. The Wind River High Route is a 97-mile, end-to-end trek across what I believe to be the most beautiful country in the lower 48, winding through high alpine meadows, past granite peaks and glaciers, and full of abundant wildlife. It is not—I repeat not—for beginner backpackers. This trip is extremely challenging and technical, requiring considerable backcountry skills and expertise including extensive off-trail navigation. A detailed description of the Wind River High Route is available here. The Continental Divide Trail (CDT) is a 3,100-mile long trail extending from Mexico to Canada through New Mexico, Colorado, Wyoming, Idaho, and Montana. 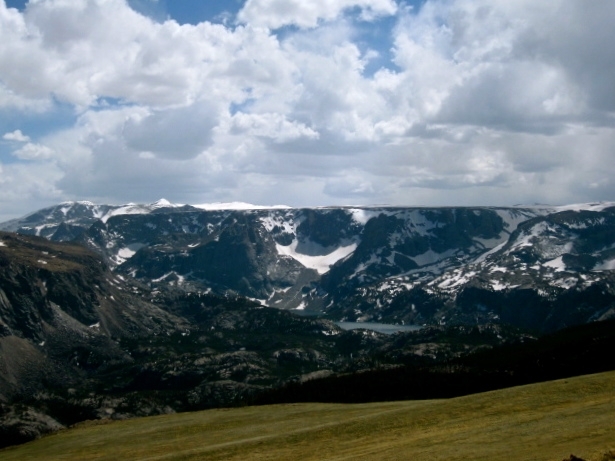 About 550 miles of this extraordinary trek are dedicated to crossing Wyoming, taking hikers through a range of stunning landscapes including Medicine Bow National Forest, the Absaroka Range, the Wind River Range, and Yellowstone National Park. If you have the skills, time, money, and grit, I highly recommend taking an extended vacation in the wilderness. Visit the CDTC for more information. Terrific! So glad it was helpful. Thanks for reading! Great stuff . . now I have even more hikes to think about doing with the gf and doggie. Thanks for the info! I was out in the Beartooth-Absaroka Wilderness this summer and the variety of hikes, uncrowded trails, and 60 degree weather made for a hiker’s paradise. 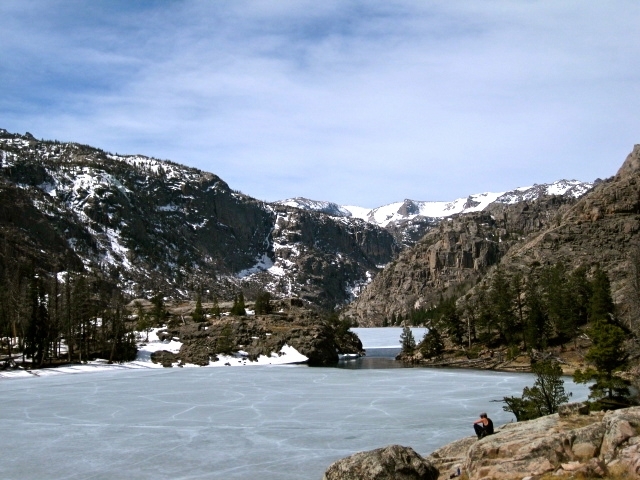 I don’t think people realize how many great hikes there are right off of the Beartooth Pass Highway! 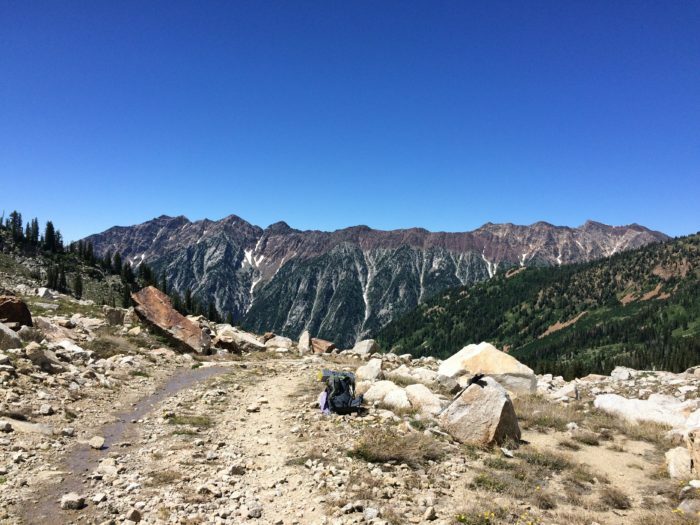 This post invoked some SERIOUS trail-lust. This is a tough question, as much of the terrain in northern Utah and western Wyoming is inherently strenuous if you’re going to travel on a multi-day trek. My first thought is actually to just stick with shorter overnight trips that are more strenuous to build up your strength and experience. My second thought is to try doing the Wasatch Crest Trail without a shuttle, so you go from end to end to end–that’s 32 beautiful, fun, moderate miles (just watch out for mountain bikers!). My last thought is that the Teton Crest Trail isn’t that strenuous if you do the shortest, simplest route. It’s listed as moderate/strenuous due to my inclusion of various alternatives that could be harder. Go up Granite Canyon and come out Paintbrush Canyon (you’ll need to arrange a shuttle or hitch back to your car). Going up Granite will be the hardest part–just plan on a shorter day that day. And make sure you do this when the trail is free (or relatively free) of snow. The Tetons have been absolutely blasted this winter, so if you’re looking to do this soon, you’ll likely need to wait until much later in the summer. Hope this helps!